We have been using you for our pest control since Fall of 2015. Aside from a few issues with a tech or two I would say the service has been very good. And I will add the problem tech is no longer with you. The treatments have done a good job so far keeping pest life to a minimum and the office staff is always very professional whenever I have had a problem. Our current tech is nice and always calls when about 20 minutes before arriving at our home. josh is friendly, professional, thorough and a good company man. We do however want to make sure however that they are coming every month and they are spraying inside and out! We are seasonal so this a hard for us to monitor. I am happy with my quarterly service. Thank you. Josh was great.. Thank you! Very professional and easy to work with. We have been with them for 4 years without a problem. Nick did an awesome job! So happy to see all those spiders gone. Carl is the best technician this company has. Highly recommend them, especially if you can get Carl on your account. I was told he would be here between 1 and 3 p.m. I arrived home at 1 and found out that he had come at 11:30 this is the third time I miss my appointment until further notice please cancel. Great service. Spent time going over options. Extremely polite!! On time and quick!! Excellent service and quickly done. Very helpful took care of all questions I ask and pests that where present. So far. VERY good. We couldn't be home when Josh would be at our house, therefore, could not spray the garage. he called to say he would leave some paper traps and explained how to use them. He was very nice and very helpful. Nicholas was on time and did a great job very quickly! Great service, came when they said, courteous, thorough. Scheduling is a nightmare. I was scheduled, per my receipt, for Thursday between 7 and 9. No one came. I called and spoke to a woman who curtly told me I was scheduled for Friday. I hung up, but was so unsatisfied with this answer that I called back and explained my frustration as I had rearranged my work schedule to accommodate the appointment. I was told I "should call to schedule" IN ADDITION to scheduling with the technician. I was told a woman named Erika/Erica would call to rectify this. I was called to CONFIRM the Friday appointment...duh. Already knew. I'm really disappointed that I didn't get even, at the very least, an apology by anyone other than Carl, the technician, who came on Friday. Good job, Nick was polite, efficient, called before arriving and he checked all the sticky boxes, made sure I was happy before he left. My service appointment was scheduled for 8-10am. I waited, no one came. I called, reset to 12-2. No one came. Finally, he came at around 5pm. Still seeing ants in the house and have to tell them EVERY TIME to look for the ant piles and treat them. Giving it one more chance next month, but if it doesn't get better I am going to find another company. They come across as observant, professional and knowledgeable. I am sure they are qualified and capable to do a great job. The appointment was easy to schedule, the tech was on time and reconfirmed appointment, estimate arrived in a timely manner and owner approved right away. They were very thorough in explaining everything and followed through with great care and attention to detail. I like using your service, I just wish the device was consistent and not so many changes and rescheduling. Excellent job! He covered all the area very well. Knowledgeable and professional. They arrived on time and quickly did the agreed upon work. No pigeons have been back. Very professional and polite. Arrived on time. Will recommend to others. Very professional. Good work. Everything done timely and well. The technician and his assistant were great. The duration of the task took a little longer than expected in order to do a thorough and perfect job. 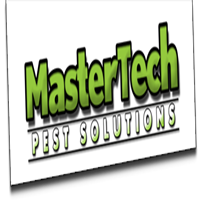 It has been a pleasure working with Mastertech Pest Solutions. The technicians are very knowledgeable. Riley was very polite and took pride in his work. The customer service is excellent. They go above and beyond to make sure their customers are happy! I would recommend this company to anyone that has a pigeon problem. Our free inspection and initial service was a Good experience. Couldn't be happier with the service. Danny did things that my old company never thought of. It was easy to set the appointment. Josh answered all my questions and was very helpful. Danny was friendly and efficient. He reassured us that he would come back between scheduled visits if we found any bugs indoors. We have been extremely pleased with the service and the results. Josh was knowledgeable and professional. Quote was ridiculously high compared to other quotes. The technician friendly and informative and explained our options in detail. The service tech is always very friendly and thorough. We rate this service as Excellent.